Today Carnyx was deployed as the first half of EVE Online’s “Summer of Sov.” In June and July, EVE’s stars will alight with glorious spaceship explosions thanks to dramatic improvements in the way player alliances capture, hold, and defend space in EVE. Next month’s Aegis release will complete the overhaul of EVE’s Sovereignty design, the system with which alliances, ranging in size from hundreds to tens of thousands of players, battle over the riches of the vast, lawless nullsec regions surrounding the core of New Eden’s Empire space. Carnyx begins the Sov rush with new modules and gameplay for the theatre of war. Massive player empires have fortified themselves in strategic solar systems in anticipation of changes that encourage active use of space through an occupancy-based defense multiplier. The new Sovereignty brings opportunities for those wishing to get into nullsec and offers plenty of mayhem for small gangs to skirmish with their enemies. Carnyx’s changes will ease players into the new capture mechanics by first affecting station services. Come Aegis, all Sovereignty structures will be under the sway of those willing and able to use an Entosis Link on capture objectives and wrest control away from foes. Physically Based Rendering: A complete reworking and repacking of all ship texture maps into a new system that works with new shaders. The result: EVE’s gorgeous spaceships become even more gorgeous. Caldari Jackdaw Tactical Destroyer: The third tactical destroyer to leave the shipyard, the Jackdaw is as malleable and powerful as its rivals, dynamically switching between defensive, propulsion and sharpshooter modes. New Burner Missions: The infamous Angel Cartel crime syndicate brings fresh cruiser-level challenges. Redone Overview Icons: Brackets and overview indicators are more intuitive and uniform. New SKINs: The powerful Marauders and the intrepid Sisters of EVE ships get new patterns for their hulls. In addition to dozens of other changes mentioned in the patch notes, Carnyx also includes several surprises from the deadly, wormhole-based Sleepers and the proliferating, mysterious Drifters that players will have to discover on their own. 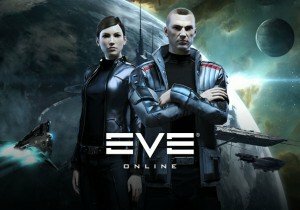 To learn more about how Carnyx fits into the massive universe of EVE Online, visit the EVE Updates page and recent developer blogs.